Bob Appleyard, who has sadly passed away aged 90, with the ball that he took his 200th First Class wicket with in 1951. Bob Appleyard, one of Yorkshire and England’s greatest bowlers and a former president of Yorkshire CCC has died at the age of 90. Perhaps one of Bob’s most extraordinary achievements was to capture 200 first class wickets in his first full season for Yorkshire in 1951. He was the first cricketer ever to perform the feat and his remarkable record still stands today. Bob had a unique bowling action, delivering medium-paced in-swingers and off-breaks at a good pace. Such were his talents he could open with the new ball, his subtleties and variations in pace making him a danger on all pitches and virtually unplayable on a sticky wicket. Even while Bob was making such a tremendous impact in his early days with Yorkshire, he was beginning to feel the onset of the tuberculosis which was to result in a major operation and keep him out of cricket for the 1952 and 1953 seasons. That he was able to return and play a star-studded role both for Yorkshire and England was an indication of his greatness as a player and his strength of will as a person. Bob last played for Yorkshire in 1958 and in a career total of 133 matches for his native county he captured 642 wickets at a miserly average of 15.42 runs. Illnesses restricted Bob’s England career to just nine matches but he still claimed 31 wickets at an average of 17.87, his best performance being five for 51 against Pakistan at Trent Bridge in 1954, and he was widely considered to be one of their greatest bowlers. When he toured Australia with England in 1954-55, Frank Tyson and Brian Statham were rampant, yet it was Bob who topped the Tour averages, and he also took four wickets for seven runs when New Zealand were fired out for 26. Bill Bowes, another of Yorkshire and England’s finest bowlers, rated Bob as one of the best three bowlers he had ever seen, the others being Australian Bill O’Reilly and Staffordshire’s legendary S.F. Barnes. In all first class cricket, Bob played in 152 matches and took 708 wickets at a cost of 15.48 runs apiece. On nine occasions he grabbed seven or more wickets in an innings and six times took 12 or more wickets in a match. Born in Wibsey, Bradford, on June 27, 1924, Bob played for Bowling Old Lane, as well as other Bradford League clubs, and he championed the cause of Bradford Park Avenue which he considered had some of the best pitches in the world. He was instrumental in Yorkshire returning to Park Avenue for a while in the 1990s and he played a major part in the Yorkshire Cricket Academy first being established there around 1990 before it later moved its headquarters to Headingley. Bob gave splendid service on the old Yorkshire committee and served as cricket chairman for a while. An honorary life member of Yorkshire CCC he was made President of the club in 2006, serving for two years. Yorkshire chairman Colin Graves, paying tribute to Bob, said: “It is desperately sad to have learnt the passing away of Bob Appleyard. “Bob was tenaciously loyal to the club throughout his lifetime, and an excellent President. “Without doubt he’ll be remembered as one of Yorkshire cricket’s post-war greats. “He played for Yorkshire and England with distinction and gave everything to the game. “For many years, he has been a regular at Headingley supporting the team. He will be missed at matches this summer. Former Yorkshire and England off-spinner, Geoff Cope, who knew Bob for most of his life, added: “For him to take 642 wickets for Yorkshire in such a short career shows what a great bowler he was and in the right conditions he was virtually unplayable. “The hardest thing for a captain to do with Bob was to get the ball off him once he was into his spell and this was because he saw bowling as a great challenge, particularly against top class batsmen. “There was always feisty competition between himself and another great Yorkshire bowler, Johnny Wardle, but each had a great respect for the other and took immense pleasure in doing their best for the team. 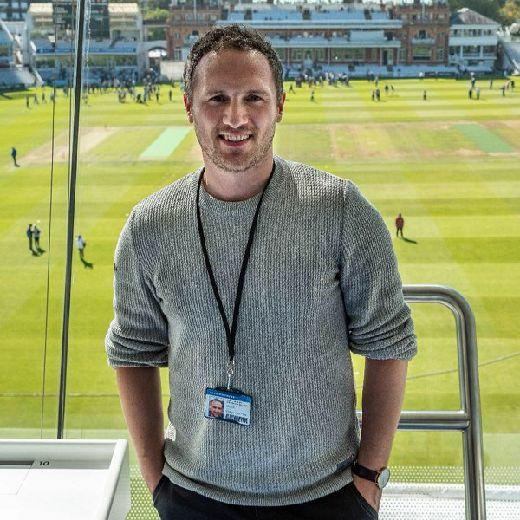 “Bob was respected by first class bowlers around the world and his work for cricket charities connected with the Yorkshire club was outstanding.